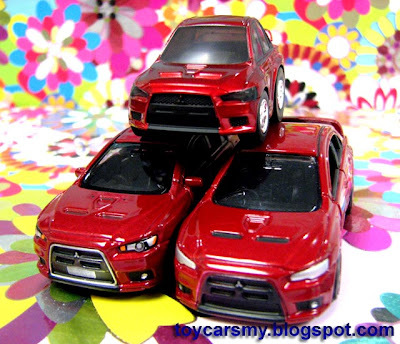 Just to share with you my Mitsubishi Evo X Collection. 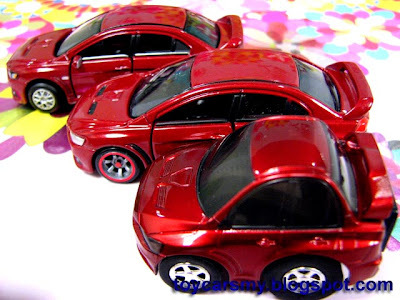 For those who have missed Choro-Q version, now already hard see in the market. 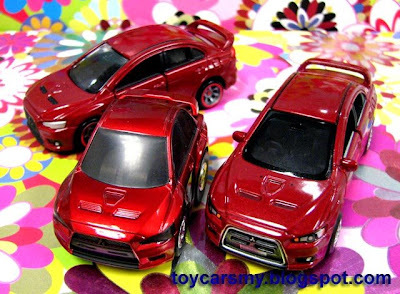 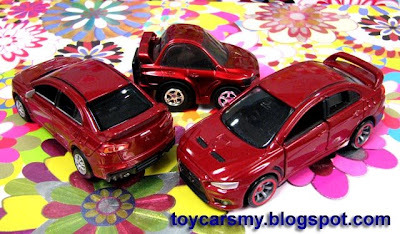 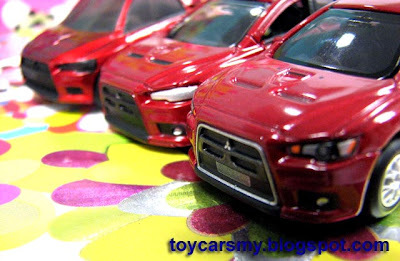 Cool Tomica EVO X family!